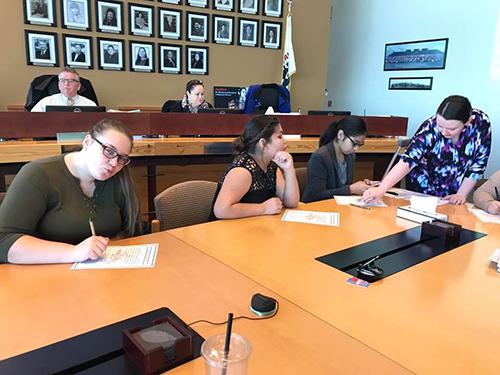 On Saturday, January 14, eight representatives of Tulalip’s future leaders were introduced to the Board of Directors. 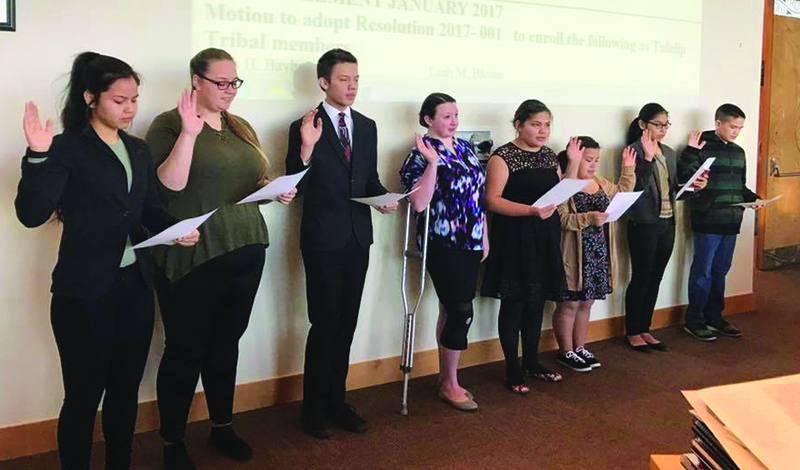 These eight strong-spirited, young men and women were sworn in to be the next cohort to make-up the Tulalip Youth Council. Being willing to step up and represent your community is a huge undertaking for anyone, especially true for our youth. They have each opted to take this critical step together and aim to be role models in and out of the classroom for their peers. When you see these youth, please congratulate them for committing to a productive year of making positive change for their peers and community, and thank them for taking on this important role of leadership. 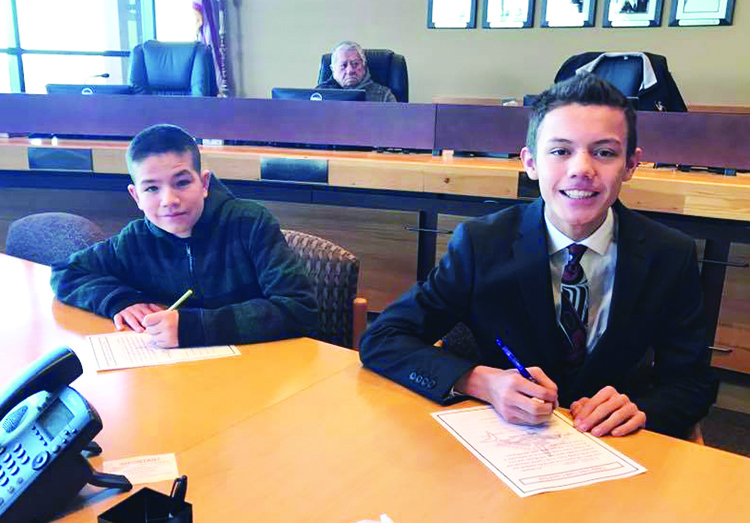 This entry was posted in Local News, Tulalip News and tagged Native Youth, Tulalip Tribes, Youth Council by Kim Kalliber. Bookmark the permalink.